Impressive 12 & 13' ceilings grace the common areas of this house plan creating an easy living open floor plan for all to enjoy. 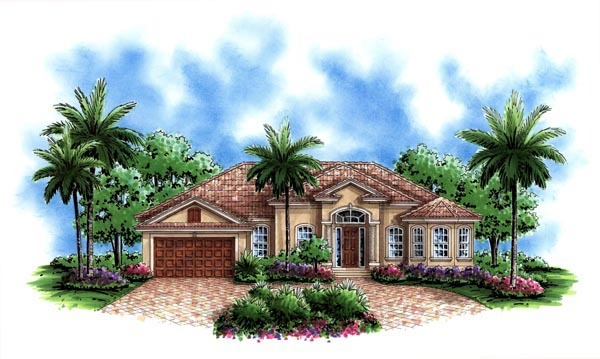 Keeping with a Mediterranean influence, this house design features large windows, and tiled roof with large overhangs. This also helps to make the home energy efficient with a large portion of the back covered. 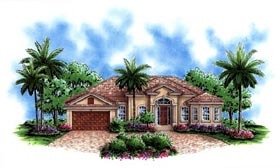 Answer: Good Morning, This home can be built in Florida. Thank you! Question: I am looking at plans 60497 and 60751. I live in Collier county and it states to inquire for permission to purchase plans for that county. Is that plausible with these plans? Answer: The plan can be built in Collier County. Question: Is there a virtual tour or house pictures of this plan? Answer: No I'm sorry we do not have either.